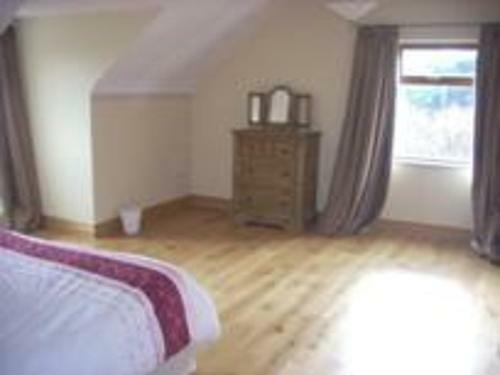 This delightful cottage is situated on the edge of the lovely village of Annascaul, at the foot of the Slieve Mountains, in County Kerry. It is a modern, well-presented new house in a wonderful location, ideally situated for touring this beautiful area. Inside this house the rooms are bright and spacious. There is a large kitchen with dining area, a spacious sitting room with an open fire. 5 bedrooms, 4 double rooms and 1 twin room with sleeping capacity for 10 people and a beautiful private garden. Please note this holiday home only accepts weekly bookings starting on a Saturday. Annascaul is a village in the heart of the Dingle Peninsula, situated close to both the Slieve Mish mountains and the long sandy beach at Inch, Annascaul is a walker’s paradise. Hill and dale, sea, river, lake make an ever-changing pattern, with the wild flowers of Kerry blooming everywhere. It is also home to a number of pubs and accommodation providers. The village also celebrates two famous sons: Antarctic explorer Tom Crean and Irish-American sculptor, Jerome Connor. From Tralee take the N86 – Direction Dingle. Proceed for 33km until you reach the bridge at the bottom of the village. (just past the South Pole Inn) Turn right onto station road immediately after the bridge.